One can enter Belarus through crossing Belarus State Border at the checkpoints Lesnaya (Rudavka), and Bruzgi (Kuznitsa Belostokskaya) which border on Poland; at the checkpoints Privalka (Shviandubre), and Privalka (Raigardas) which border on Lithuania. And also through the railway station and airport of Grodno. You can visit without a visa the territory of the Grodno region and the city of Grodno. 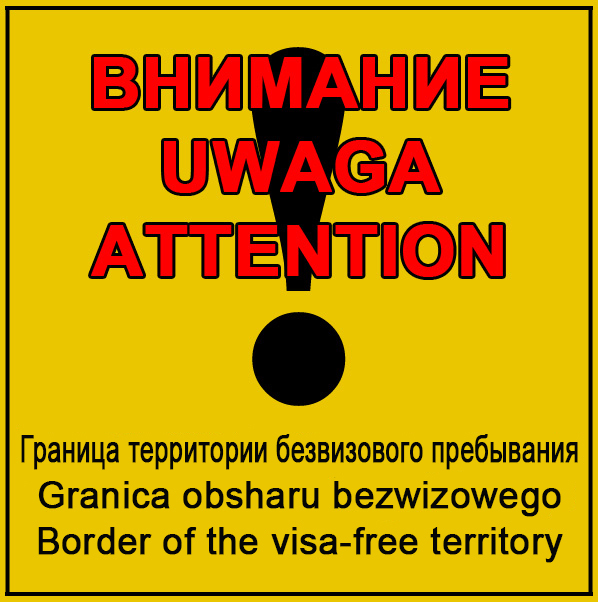 In order to enter the visa-free territory a foreign visitor should possess the document , which is issued by Belarusian tourist agency. A valid document for traveling abroad and a document providing a foreigner with the right to visit "Augustow Canal" park individually or within a group. There are checkpoints at the border crossing between the Republic of Belarus and the Republic of Poland: Lesnaya (Rudavka), Bruzgi (Belostotskaya Forge), and with Lithuania at checkpoints Privalka (Švendubrė), Privalka (Raigardas) or through the railway station and the airport of Grodno. A driver of a vehicle must have the original insurance certificate, valid in the territory of Belarus, and confirming the liability insurance in the Member State of the “Green Card” system. The vehicle participating in the road traffic and registered abroad without the agreement of compulsory insurance of civil liability of vehicle owners, functioning in the territory of the Republic of Belarus, establishes administrative liability under the Law 18.20, paragraph 4 of the Administrative Code on 20 base units (since 01.01.2018, the base unit is 24,5 BYN). to obtain and to fill in the migration card. foreigner is also obliged to hand in a "B" part of the migration card during a border control procedure at a checkpoint across the Republic of Belarus State border (excepting foreigners temporarily or permanently residing in the Republic of Belarus, unless otherwise determined by the legislative acts and international treaties of the Republic of Belarus). REGULATION "About the procedure of foreign citizens visiting special tourist and recreational zone "Brest" and special tourist and recreational park “Awgustowski canal” and adjoined territories"